How to get an investor to invest in your business? I present some uncomfortable truths. 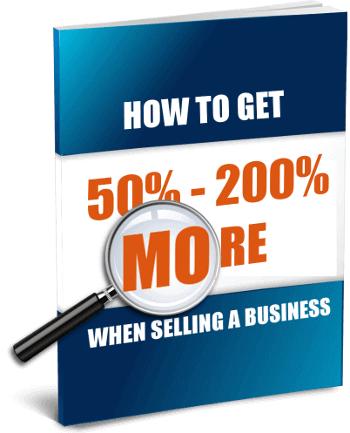 This has been written mainly for business owners attempting to sell their businesses themselves (without a business broker). But most of it is also applicable to those business owners seeking simply to raise capital. In either case, you need to have a package that appeals to the people with the money. But most entrepreneurs, skilled though they are at their own businesses, have next to no idea about how best to appeal to investors. There's a chasm between what entrepreneurs think investors want to see ... and what investors actually want to see. Only arrogant sellers play hard to get: "We may be persuaded to sell if ...."
Cash-in-hand businesses are hot, but not in the way you think! Potential is a four letter word. Avoid it like the plague. Maintaining key relationships - did you send your bank manager a Christmas card? 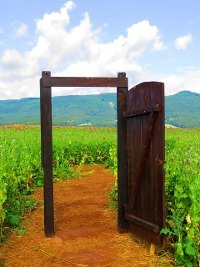 Paint a pretty exit picture - the exit's mega important to investors! Got contingency plans or do you not need them because this business is a dead cert? If you need the money ... you won't get it! Is your business a "once in a lifetime opportunity", something that is "too good to miss"? Is it a "goldmine"? Yucks! Investors hate the hard sell. They tend to immediately lose trust in the document. Bear in mind you're an entrepreneur presenting an Information Memorandum for a business, not a used car salesman making a sales pitch for an old banger. Investors know that every business has positives and negatives. They want the facts and figures which they'll study to reach their own conclusions. They'll decide whether your proposition makes good business sense or whether it's junk. And they'll take that decision based on data and their own background research - that's what they do and what they have probably done dozens of times before. You need to recognise that this is how investors work. Wax lyrical about the opportunity and what you're saying to the investor is that he should rely on what you're telling him (rather than on what he figures out for himself). You are trying to convince him to not reach his own conclusions but to accept the conclusions you've worked out for him. That may not be your intention, but that's how your investor will see it. The further you stray from objectivity the greater the incentive for the investor to put your document in the bin. But, you cry, "I need to tell him how great my business is or he won't invest!" Wrong. You need to give him the inputs that he is looking for. If you don't know how to do that effectively, use a professional. Or put some effort into learning how to tell the story well. High praise for your business, your idea, your prospects, your product, your anything .... doesn't tick the boxes you think they tick. People with the money are looking to assess both the opportunity and risk. Opportunity is easy to spot so they're more keen on finding the negatives and risk. The more you praise the business, the more you are frustrating the buyer. Tip: Disclose risks and threats (and your contingency plans) but craft them to look like opportunities in disguise! Don't pitch your product either! The last Information Memorandum I read was for a £2 million turnover company and it had several pages talking about the product and explaining its innovative features, modern design, ruggedness, affordability, blah, blah. The pitch went on for ages describing how the product benefits the consumer, why it is good for the environment, why it would continue to sell in the millions. Page after page after page. Entrepreneurs seem to have trouble turning off talking about the product and switching to talking about the business instead. They always seem to revert to their comfort zone - talking about something they've done lots of pitches for in the past. If they've got a new product coming out they'll drone on about why consumers will/should like it, why the prospects are so good. In a business sale situation, the more you talk about the product the less you're talking about the business. Keep reminding yourself that the document aims to sell the business. The investor is more interested in how many units have sold, the cost of production, where savings can be made and profitability improved ... that kind of thing. Yes, it helps to have a good product but the investor's main interest isn't in the product, it's in what the product has done (and can do) for your business. Similarly, avoid making too big a deal about the "celebs" who use your product, your location in a popular high street and other factors. Most of them are already accounted for in your figures! For example, it's your popular high street location that generated last year's turnover and profit. If it wasn't for that location you wouldn't have made that profit. So you're already taken credit for that attribute of the business. Stop banging on about it and trying to claim credit twice. If you're pitching a start-up or early stage business and you are going to be the person driving growth, then it is essential you ﻿convey to investors that you have the ability and commitment to deliver﻿. They are investing in you as much as they are investing in the business. But if you're selling your business, you're going to be leaving. The last thing you want to do is play up your own importance or portray how indispensable you are to the business! Owners of online businesses attempting a sale of their business often make claims such as, "I've taken our site to the #1 position in Google for our main keywords". The translation is, "I'm a fantastic SEO. The site ranks where it does because of my awesome personal skill at this very difficult task. Once I am gone our website will go down the search rankings and the business will lose most of the traffic and custom it currently enjoys". Whether you like it or not, that's what your investor is going to read into your statement. Owners of small shops often say, "Our customers keep returning because of the great customer service they get." The translation is, "My customers return because they have a good personal relationship with me. Once I am gone and a new person takes over many of those customers will be targeted by and attracted away by local competitors." Why would you draw attention to you being key to the business when you are the one element that will be leaving at some point after the sale? You need to make the buyer feel comfortable that the business will continue just as well without you. 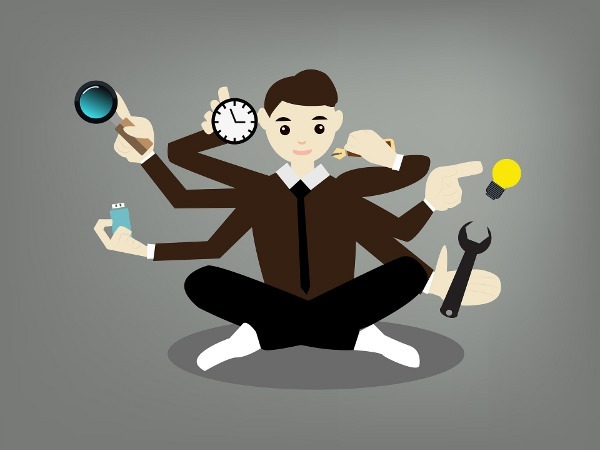 Sometimes sellers emphasise their own unique skills and promise to pass those skills on to the new owner. They assume that this adds value to the deal. "You're not just getting a business, you're acquiring some unique skills / secrets that competitors don't have." Most investors reading your document will walk away because they know that such unique skills are hardly ever transferable. As far as they are concerned, you painted yourself into a corner by building a business around your personal skills. They know (and you'll discover) that such businesses are almost impossible to sell ... at any price! Don't write your Information Memorandum (IM) yourself! It's amazing how many entrepreneurs will pay tens of thousands of pounds to get the marketing material just right for a £50 product, but won't pay a couple of thousand to get the marketing material just right for their £500,000 product! Documents written by professionals tend to use financial terms the right way, present data in an organised manner and conform to some industry standards. Importantly, they'll include all the information you are legally required to include. Documents written by owners often take liberties with financial terms, exaggerate the positives, conceal the bad news. If it appears you wrote the document yourself, you're immediately on the back foot. An upbeat tone and salesy feel in your Information (or Sales) Memorandum are a dead giveaway that you wrote the document yourself. Business owner-created IMs tend to be high on hype and low on fact. They usually cannot be trusted. Get a professional to write this document for you. 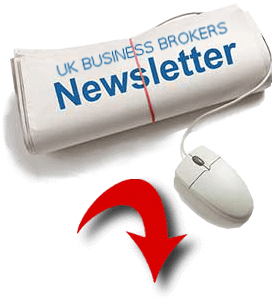 Your business broker would do this for you if you've engaged one. Brokers and M&A advisors, however, tend to not take on just the writing of an Information Memorandum. Bar a few exceptions, they'll want the whole commission of selling your business / raising your funds and they will want a percentage of the sale price / capital generated..
And be careful who you employ. Just because someone calls himself a business broker doesn't mean he's any good at the job. Have a look at these example business-for-sale ads, or "teasers", created by well known brokers like Knightsbridge, Intelligent Business Transfer etc. As you'll recognise, the ads are rubbish. If a broker can't put a competent teaser together what makes you think he can compile a professional IM? If you require just the IM and are having trouble finding a professional to create it for you, drop me a note and I'll introduce you to a useful contact or two. Pros and Cons: A lot of what you're claiming as pros are actually cons and buyers are actively filtering out listings that contain certain phrases many sellers are enthusiastically using! One common boast is about how costs were kept down. "We ran everything ourselves and did not employ staff. As a result we have saved £x in staff salaries." Buyers do not want to hear this. They do not want to hear that the business revolves around you and that if you take a week or two off, the business will not be able to operate. They prefer that your current profit is being generated by a team of hard working, well trained staff! "We have never advertised and all sales are from organic growth." Sellers often believe that this will impress investors as investors "just have to do a bit of marketing and sales will increase." The truth: That's not how investors think. Their immediate conclusion is that without any stats to demonstrate which marketing works and which marketing doesn't, the new owners will have to start from scratch and waste a lot of money experimenting with various marketing channels before they discover what does and doesn't work. They'd much rather have, for example, several years' worth of PPC stats to demonstrate exactly which keywords work in Google ads, how much they cost and how much business is generated per £100 in ad spend. These are really all excuses, not selling points! Business owners often make claims about new avenues that are ripe for exploitation but find all kind of excuses to explain why they didn't exploit these avenues themselves - nonsense like, "I did not have the time". If you do have to explain why you did not pick the low hanging fruits, you need to come up with more specific reasons. For example, do you claim that exhibiting at a particular and popular business show could fetch £100K in new orders (despite you never having exhibited there before)? Try something like this: "We did not exhibit at this big business show because the show only started last year and on the date of the show we were having an audit and needed all staff in the office." Customer concentration​: No, it's not a good thing to have a single customer account for 10% or 20% of your turnover! Assured income: While a contract that assures regular payment over the next four years sounds good on paper, the investor sees that as income which is definitely going to stop after four years. If he's paying you 8x your earnings, he'll argue the profits from this particular contract aren't going to continue for 8 years so they shouldn't be bundled with the rest of your profit that's being used as a base for the 8x multiplication. 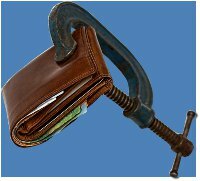 No Debt: While you may be proud that you self funded the business, the buyer is not ​interested in how much of debt you do or don't have, he's more interested in "net assets" ie. your total assets minus your total debt (and other liabilities). In fact, not having any debt might mean that your business has a bad credit history or that you haven't built a solid credit history by taking debt on and using it wisely. There may be other boasts in your document that you think show your business is a positive light but are actually severely harming your chances of impressing the investor. This is another good reason to employ a pro to write your IM. Real life isn't like Dragons' Den or Shark Tank. Those shows are made for entertainment and leave out all the boring bits involving long contracts, shareholder agreements etc. Even the participants themselves are sometimes chosen for their entertainment value rather than the worthiness of their business idea. And if you've attended real life pitching events, they too employ more than a bit of drama. James Routledge of Sanctus puts it well in his article, Killing It Is Killing Startups: "...the very principle of a pitching event and what it stands for is the very epitome of everything that is currently dangerous about the wider startup ecosystem... the startup landscape is telling founders that.... they must put on a show to win the affection of others who will define their success." Don't be an actor, don't put on a show! If you've worked in marketing, you'll have heard the expression, sell the sizzle, not the sausage. The idea is that you should be talking about the benefits, not the features. Expect the investor to take a microscope to the sausage (ie your business). 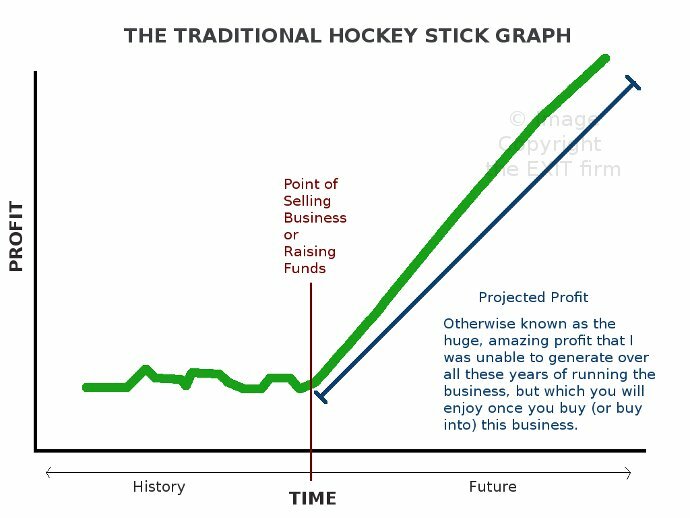 The hockey stick is a pattern in your financial charts where you have a fairly lack lustre performance up to the day of the event (fund raising or completion on a sale), but then your figures shoot up dramatically. The story you're trying to tell is that the business hasn't been hugely successful (in terms of sales / profit) but after "the event" it will show a dramatic rise. The image above illustrates what the traditional hockey stick looks like. Avoid the hockey stick cliche. You may believe that business will boom after the event. Maybe you think, "We just need some money for marketing and then the sky's the limit." Or you subscribe to the view that an investor with the right skills can take your business "to the next level". Wrong approach! Investors are immediately wary of the hockey stick and may even walk away simply on seeing that one graph! Many fund raisers and vendors genuinely believe the projections in their hockey stick graphs are realistic and achievable. "All it needs, guv, is the right buyer to come along!" A few know, in their heart of hearts, that the business doesn't really have much of a chance of generating those figures. Sometimes entrepreneurs think they're being clever by not presenting the projections in the form of a chart where the hockey stick nature is immediately obvious. They think that by providing a table of figures - or using some other creative presentation - the investor won't notice that it's a hockey stick. But whether you provide the below in the form of a graph, or a table with turnover and profit projection, it screams hockey stick to investors. If you have the research, data, evidence to back up the hockey stick, then great. But I suggest you provide it to the investor early on, before showing him the graph, to psychologically prepare him for the upcoming hockey stick that he is wired to view suspiciously. Overheard at an investor conference: "To make a hockey stick you need a piece of wood. To make a hockey stick chart you need someone as thick as two planks." Are your details in sync with the copy at Companies House? Do your words match your picture? Ensure claims in your document tally with your snapshot at Companies House (or in other public records): I've just put down a Prospectus from a company that's seeking £1.5 million. Their total assets at the end of the last financial year are quoted in the document at £550K. However, accounts submitted to Companies House for that same period show £300K in assets. A balance sheet is a freeze frame of your finances on a given day. You can't have two images on the same day showing vastly different figures! Not unless you've got some good reason and have explained the discrepancy. Perhaps the assets are grossly undervalued in the books. Why? You need to anticipate and explain this question. It's not just Companies House and other publicly accessible records - your document needs to agree with information available from credit tracking firms as well. If you claim to be paying all your invoices on time, but your credit record shows consistent late payment, that's a credibility hit that could lose you a good investor because if you're lying about late payments there could be other lies in your document. Investors can and do check you out on Facebook, LinkedIn and elsewhere - so make sure your story tallies with your social profiles too! Sellers often make statements such as, "If the price is right, we will consider selling". Or, "We'll sell if we get a good enough offer". They think that playing "hard to get" will attract only those buyers who are willing to pay a high price. ​I've also seen IMs where sellers have said the equivalent of, "We've already had an offer of £x which we declined so any other offers would need to be above that". These sellers believe that such wording will put off low-ball offers and attract only serious buyers / large bids. But this type of arrogance has the opposite effect. It tells buyers that you are not a committed seller. It screams to them that they should not invest time and money to investigate this opportunity because you probably have unrealistic expectations and that, unless they come up with a figure that ridiculously over-values your company, you won't sell. ​Buyers will move on. There's no point wasting time on you, there are other fish in the sea. It's amazing how many businesses make claims such as "30% of sales are cash in hand and not on the books"! Some sellers seem to take this as a badge of honour and feel it improves their chances of sale. Not so. But, they plead, "Why wouldn't a buyer want a business that's actually making a lot more than is being declared in the books ... and making money that is tax free?" Actually, that's not what investors want at all. One exporter I came across in 2015 claimed that the a certain government minister in Pakistan was on the payroll "so to speak" which, apparently, assured regular orders from the Pakistani government. It is utter madness to include claims like these in a document going out to investors. It's virtually a written admission of criminality. Even if the investor doesn't "shop" you to the authorities, he certainly doesn't want to be pay money to buy a business that the authorities could shut down tomorrow. There's one other risk. Buying this business leaves him open to blackmail (because you, the departing seller, still know where all the skeletons lie). There are enough other businesses out there for the investor to buy and which don't involve the risk of serving time at Her Majesty's pleasure. Example 1: The Information Memorandum of a company that was recently for sale boasted about a big order they had landed - an order valued at £800,000. However, to fulfil that order they would have needed in excess of £450,000 worth of stock over the space of a month. A closer examination of their accounts showed they didn't have the cash in the bank (working capital) to make such a large purchase and didn't have the lines of credit either. In other words, without a large cash injection they would not have been able to execute that order! It was as good as not having it in the first place! Example 2: A UK company importing a certain product from China was doing very well selling their product in the UK and had a turnover of circa £80,000. Their main advantage over their competition was price - they were about 20% cheaper. The owner was selling the business and had included what looked like reasonable growth projections of 30% a year. However, a 30% increase on £80K would have taken this business over the threshold for Value Added Tax (VAT) registration. They would have had to register for VAT and charge VAT of 20% on all their sales. Yes, all the sales, not just the sales north of the VAT threshold. The business would become non-profitable as their only competitive advantage - the 20% lower price - would have been wiped out by the VAT. This threw all their profit projections into chaos as the projections were made without taking VAT into account. Example 3: An entrepreneur seeking to raise £250K made repeated claims in his memorandum that he intended to pay off the £250,000 in full within three years. However, his cash flow projection showed a surplus of about £60,000 a year. Even if he didn't take a single penny for himself during that three year period he'd have only £60K x 3 = £180,000 at the end of three years i.e. not enough to pay off the loan. He looked very foolish when potential investors pointed out that his boast about repayment intent wasn't supported by numbers elsewhere in his document. As you may have noticed, these mistakes are easily made. Sellers make them because this is the first (or second) time they're selling a business. Investors have seen hundreds of pitches like yours and have years of experience. These mistakes simply jump out at them! You sincerely believe your business has great potential and is therefore entitled to a premium on price. You wouldn't be alone. Most business owners writing their own IMs drone on and on about potential. That's a waste of time and it annoys the hell out of buyers and investors. Buyers aren't interested in your opinion about potential. Even if your business really does have the potential you see (with your rose tinted glasses), buyers do not and will not pay you for it. Why? If you're walking away from the business then it falls on the buyer to invest his time, effort, resources and sweat to realise this potential. Any excess profit that's created as a result of this potential then rightly belongs to him. He will not give it to you by factoring it into the asking price! Claiming potential is like presenting a hockey stick without bothering to even create the hockey stick graph! So how does the ​conditional offer work? ​A £500K increase in the above case translates to a profit next year of roughly £240K or so followed by £576K the year after (to take you close to the claimed £600K). ​​The buyer will offer to pay your full asking price but with a condition i.e. the asking price will be put into an escrow account (or lodged with a solicitor), ownership of the business will transfer to him immediately, and you will continue to run the company for a while, maybe six months to a year. If you can generate a level of growth to keep the business on the above trajectory ​he'll release the funds from escrow and you takes your money and you walks away. His thinking: If you are unable to generate that kind of growth then your claims of "potential" were a load of cobblers right from the start, your business isn't worth anywhere near what you claimed it was worth and under the terms of the contract he'll take back all (or most of) the money from escrow / the solicitor. 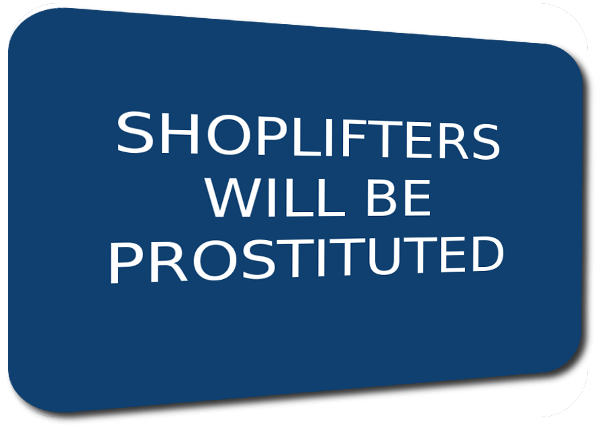 In effect, he'll be getting your business for free (or for a pittance). Would you agree to that deal? Why not? If you were so confident of potential, you'd jump at the offer! 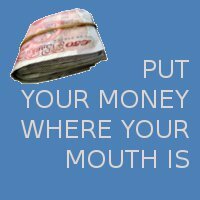 If you're not willing to put your money where your mouth is, investors won't put their money in your wallet. Bear in mind that this is just one example. There are other ways buyers can call you out on any "potential" that you claim! The simplest solution is to present the business so the buyer spots the potential himself, but with you never actually claiming that the business has potential. Never, never, never claim that the business has a lot of potential! And, sorry to say this, but don't expect this "potential" (that's in your head) to influence the price buyers are willing to pay. In very rare cases where a business has a lot of intellectual property in the form of patents, for example, these intangible assets may add value to the deal. This may seem like money for potential but the vendor would need to prove a) they these assets are valuable and that rights in them have been legally protected and b) that these assets haven't already been monetised. Further, the buyers would need to see a clear route to making money with them ...which buyers generally don't see as they don't like to assume anything far less assume they can make money with an asset that hasn't already demonstrated its commercial value. Check and double check. Spelling / grammar mistakes in an Information Memorandum, Pitch Book or Prospectus of any sort say you are sloppy and careless. Project a professional image. Get a third party to proof read your completed document. Yes, you need a third party as you'll never spot all your own mistakes! ​No doubt there'll be some smart alecs among you who take to Twitter to point out the irony of typos in this article. Amuse yourself, but remember that I ain't selling nothing here; you was reading a free article. Keep your copy crisp. 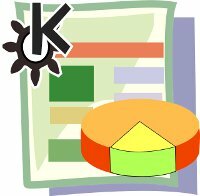 Keep the images and graphs professional. Ensure the layout makes for easy reading with space for investors to add notes. Dark text on light background is the way to go. Oh, one more thing: No. Comic. Font. If your financial ratios differ in a material and significant way from those of other firms of the same size and in the same industry, alarm bells will ring. Some of the ratios that investors calculate are the acid test, also called the current ratio (current assets / current liabilities), return on assets (net income / total assets), inventory turnover, average collection period on accounts receivable etc. They may be also be interested in the cost of acquisition per customer, lifetime value of the customer ... and other extracts from your management accounts (though these aren't "financial ratios" as such). You need to know what financial ratios and what extracts from your management accounts investors in your sector find important, and need to know how other firms in your sector fare. Where your figures differ in a noticeable way from the industry average, there should be a satisfactory explanation elsewhere in your document to cover the disparity. If you don't already have financial ratio related data for your industry, you could try sites like BizStats, Bizminer and ProfitCents (and also the UK specific Industry-Averages). On a related note, presenting Monthly Recurring Revenue in a quarterly format doesn't make the numbers look better, as some business owners seem to think. It simply looks like you're struggling to "big up" an otherwise dismal performance. Just like if you talk "Gross Profit" rather than "Net Profit" or "After Tax Profit". These include relationships with employee unions, bank manager, suppliers, industry bodies, government agencies etc. Investors like to see strong and positive relationships. Have you been sending your bank manager regular updates, copies of press releases, annual accounts and other key information? Probably not. But if you had, the bank is more likely to look favourably on the business, on loan terms etc. and give the business some slack when / if things get tough. From the investor's point of view that's a plus. More importantly, have you kept to all covenants and furnished all reports and documents you needed to supply to the bank / landlord / other "partner" as a condition of your loan / lease / other facility? Don't you think a buyer would prefer a business that has invested in good relationships with key partners? Is that not something you would want to check when buying a business? However, most business owners don't seem to find these matters important enough to cover in their information memorandum when selling their businesses! Be different. 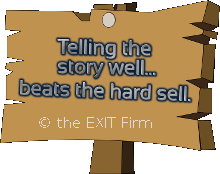 If you're selling only part of your company, your investor needs to see a reasonable route to exit. Simply saying the business can be sold in 5 years for £5 million doesn't give the investor confidence. Saying you intend to sell the business for £5 million in 5 years also does not give the investor confidence. Dropping big numbers about potential future value is easy, any idiot can do it. Be very careful here, it's easy to appear like you're grandstanding; or even that you're a bit deluded! What to do instead: Double check that your business plans, your growth projections etc., point to a business that is going to be (reasonably) worth that £5m figure in five years. What will the turnover be in Y5? What will the profit be? How many employees? How much of your income with be recurring? And would a qualified valuer (no, not your mate Dave, down at the pub) put a valuation of £5m on the business at that time based on those figures? If yes, then sweeten the deal and put your neck on the line. 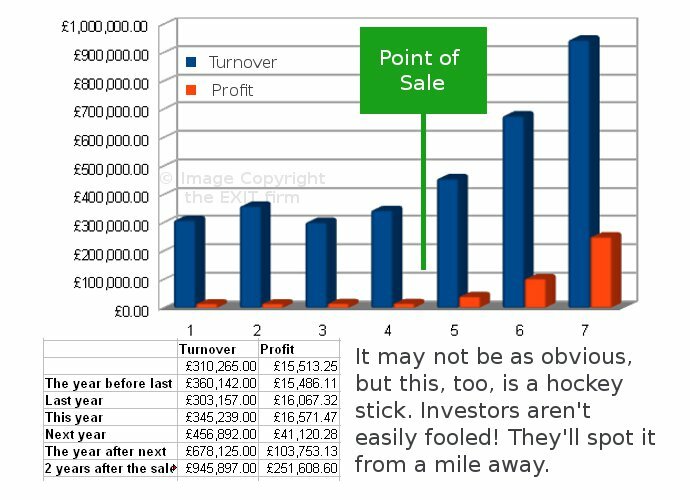 Guarantee the investor that if the business is not generating £x in profit by year 5 you'll give him, for free, another 30% of the business. And that you'll willing to put this in the contract from day one. There are some great examples around of pitches that really work and very useful articles on how to put together a killer IM. Why learn the hard way when you can research what has worked for other entrepreneurs? Honourable mention goes Andy Raskin's Greatest Sales Deck I've Ever Seen, Buzinga's guide to an IM That Investors Actually Want To Read and Chance Barnett's Ultimate Pitch Deck for startups (complete with a template ppt). Others are available via simple use of your favourite search engine. Have you explained your contingency plans in your IM? Entrepreneurs, by their nature, are risk takers. Investors, on the other hand, are very risk averse. Entrepreneurs look on the bright side: things will all work out, they always do. Investors want evidence that all the main risks have been carefully analysed and protected against. One downside to the over-optimistic pitch described earlier is this: it's so focused on talking about the good that is doesn't adequately cover the bad. There's a desperate lack of explanation about what can go wrong. It's only when management recognise risks can they prepare properly for them. Lack of such prior preparation - whether it's a disaster recover plan, or cover for key personnel - paints a picture of a business that lacks resilience. A small problem, one that could have been foreseen and protected against, could end up ruining the entire operation. Would you put money into a shaky proposition like that? Example 1: You might think that you've got a great talent in the sales person you took on last year as she's turning in stellar figures that far exceed what any of your other sales people are delivering. She's a great asset to your business, is she not? But your investor sees a risk. What if she falls ill, or leaves for another job? The company's turnover and profits would be impacted as she cannot be easily replaced. Example 2: You've done a great job on your Search Engine Optimising and rank at #1 for all your main keywords. That's quite an achievement and you're very proud of it! You even boast about this in your Prospectus / IM. The investor sees all this free Google traffic as a negative. He has a question - what if Google changes their algorithm or there's a technical problem that causes all your pages to drop out of the index? A simple error in your .htaccess file or robots.txt could wipe you out virtually overnight! It has happened to others, it could happen to you. If 60% of your sales are reliant on these "free" visitors from Google, what's your plan should you lose your rankings? And how would your finances play out over the years that follow? Demonstrate that you are capable of recognising risks and, crucially, that your business has taken practical steps to ensure minimum disruption and minimum loss of income should disaster strike. - The founder of a bar in a popular and upcoming area of London spent £60,000 on tasteful and high quality interior decoration. After the first year of running the business, and having made only £10,000 in profit, he decided to put the business up for sale and was expecting to recover at least the £60K spent on the decor. He didn't. In fact, he couldn't even sell the business for £10,000! Why? Because buyers would want to redecorate the place to their own taste or to a completely different theme so will have to scrap what you've done anyway. Money spent on big, infrastructure investments such as these is almost always sunk cost. If the money was spent on a relocatable asset such as kitchen equipment, part of it may be recoverable but expect the equipment to fetch a "distressed sale" price of, say, 5% - 30% (depending on the condition of the equipment and the demand for it). Tip: If you're made a big capital investment in something, and that asset constitutes the bulk of the value, consider selling that asset on its own. Don't make the investor feel he cannot work well with you: It's not just about the money. Entrepreneurs often expect the investor to deliver the dosh and disappear. That's not how it works. At the very least, and even if he's not taking a director position in the company, he'll want to keep an eye on the spending, get regular reports on performance ... and much more. Prior to receiving the investment you're on opposite sides of the table. Once he's made the investment you need to switch sides - the investor is now "on your team", a partner, mentor, advisor and guide. That's a difficult transition for many entrepreneurs to make (and here's an article that might help you make that leap). An investor who does not feel you can make that transition will be reluctant to invest. I did not feel I could work with them post investment and walked away from what were, on paper, great investment opportunities. Remember, when seeking a capital injection you are selling yourself as much as you are selling your business. It'll be a cold day in hell when the cold approach starts working. Investors get a lot of cold (out-of-the-blue) approaches. Thousands of them. It may not surprise you to learn that they do not read all the pitches they receive. In fact, the large majority are deleted. The likelihood of yours getting considered is so close to zero that it's not worth the time it takes you to make the pitch. Even worse than going in cold is going in with a template-based pitch. Others will be using that same template and the investor will recognise the common wording. If he is filtering which emails he views, he'll have built extracts from the most common templates into his filtering engine and will be automatically deleting any mail containing those phrases / sentences as these are likely to be the lowest quality pitches. Albert Wegner of Union Square Ventures puts it well: "You should spend just a bit of time figuring out something specific about the investor you are emailing....Whatever you do, it has to be clear from the first few sentences that you took the time to think about why you are writing me. If you cannot be bothered to take that time, why should I take the time to think about your pitch?" Would you like the money or do you need it? Are you in a tight trading situation? Not good. Investors prefer businesses that would "like" the money, not businesses that "need" it. Perhaps you'd "like" the money to buy more equipment or expand an already successful venture into a new area? That's great. Is the money needed to solve a problem that could have been anticipated? If yes, don't expect the investor to be sympathetic. You should have anticipated the problem and done something about it a long time ago. Businesses with bad planning and bad management don't make for good investment opportunities. Equity or debt? If debt, what type of debt? If equity, what type? 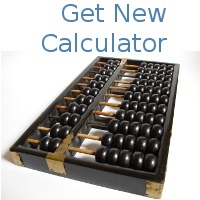 Are you looking for owner transition, capital for expansion, capital for some other purpose? You need to know what you want. Is it a consolidation of your shareholder base? A partner who can bring both money and special skills to the table? Different types of investors are looking for different things. If you document is written to appeal to angel investors and you're pitching it to private equity firms, it has no chance of success. You need to know what different investors are looking for ... and pitch accordingly. Private Equity is different to Angel Investment is different to Venture Capital. I often come across wannabe entrepreneurs who have bright ideas and are looking for funding to convert that idea into a business. They wax lyrical about the prospects of the business and how it just can't fail. Yet they haven't exhausted their own resources before seeking an investor. They haven't taken out a second mortgage on their house or borrowed money to the maximum their personal credit will allow. There is only one reason: They know how risky this new business venture is and they want to take that gamble with somebody else's money instead of their own. That way, if the business doesn't work out, they have not lost much, just a few hours of their time. If you aren't going to be exhausting all your personal resources first, don't bother trying the market for money. Investors are smarter than you think and won't invest in your business! Sometimes entrepreneurs (or "wannabe" entrepreneurs, to be fair) hedge their bets to such an extent that they don't even give up their full-time jobs to run the business! In other words, they're holding on to the security of their jobs because they realise that the business itself has a very slim chance of success. That doesn't say they have confidence in and commitment to the venture. If you don't have enough skin in the game and have not demonstrated commitment, you simply will not raise the funds. Have you clearly explained what you will do with the money? Have you explained clearly, and with breakdowns, what you intend to do with the money? Investors won't open their wallets unless you've provided details. - "I plan to spend it on marketing." - "I will use part of it to improve the website and part on PPC ads." - "The money will be spent on employing more staff." - "We'll use the money on R&D and to test new markets." Most small business owners fail to realise the importance of the "Use of Funds" section in their document. You need to provide a detailed breakdown of what the money will be spent on. You also need to break it down by time - month by month. You need to go even further and demonstrate what goals and what milestones you will achieve in each of those periods to justify continuing with the planned expenditure. The investor will likely want to feed you the money in instalments as per your schedule above. Why give it all to you at the start if you're going to need some of it only in month 4? They will also require you to provide them regular reports on progress and the achievement of milestones. As a condition of the financing they may require you to agree that if you fail to hit milestones they will stop funding you and you will immediately repay what you've already taken! Ouch? Welcome to the real world. Putting together that kind of detailed plan is a lot of trouble. Heck, you can't even estimate some of the expenses you're likely to incur in the future so how can they expect you to have a schedule all drawn up in advance? Well, they do. Yeah, it's a tough life. It would be a lot easier if they just wrote one big cheque, without asking too many questions ... and went away for a few months. Unfortunately, that's not how it works. "We're open to discussing terms," is a rubbish answer. Know exactly what you want and what you are willing to give in exchange. Get your business valued by a competent professional. Then you can state with conviction that you're offering, for example, 30% of your business in exchange for £600,000... and be in a position to justify that valuation. Have all your numbers at the tips of your fingers. You are underfunded if you ask for £1m and the investor, after studying your finances and business plan, figures you can't achieve that growth rate with £1m and need at least £1.3m. Your plan made sense to you, but he has now dismissed it as unrealistic. Incidentally, an exploitative investor might see an opportunity here to extend the £1m but with a proviso that if you need more money later it will come with severe additional terms and will require you to give up more shares in (or complete control of) your business. He's taking a gamble that you will, indeed, fail to achieve that growth with £1m. Mark Suster has written some interesting articles on why you need to know what you're giving away and for how much. Here's one worth reading about how angels and VCs think and how they price their investments. Splitting The Equity Pie , The Equity Equation and You Want How Much In My Business? are also worth reading. 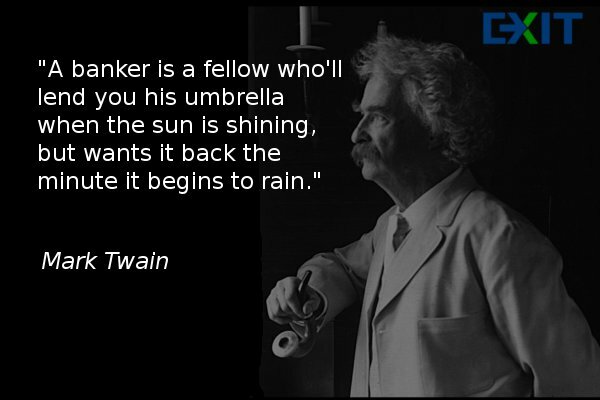 It helps to get thoroughly familiar with how investors think! Over the last 35 years I have founded numerous businesses, sold more than two dozen of my own businesses, and have assisted in hundreds of other sales / fund raising. If you wish to discuss the sale of your business, feel free to drop me a message.